The above photo was taken sometime on September, 1999, at the Danao City Jail, three days after the city fiesta. Accompanying us were two American ladies working for a U.S. based pharmaceutical company (Smith & Klein), which at that time donated the bulk of medicines for the Medical Mission. They were invited by Chief of Medical Mission Dr. Anita Cal-Jackson, M.D. to witness for themselves how their donated medicines were dispensed at the medical mission. Learning that some DAUSA volunteers were going to the Danao City Jail to bring cheers and food to the inmates of the Danao City Jail, as part of DAUSA’s reach out project, the asked to tag along. 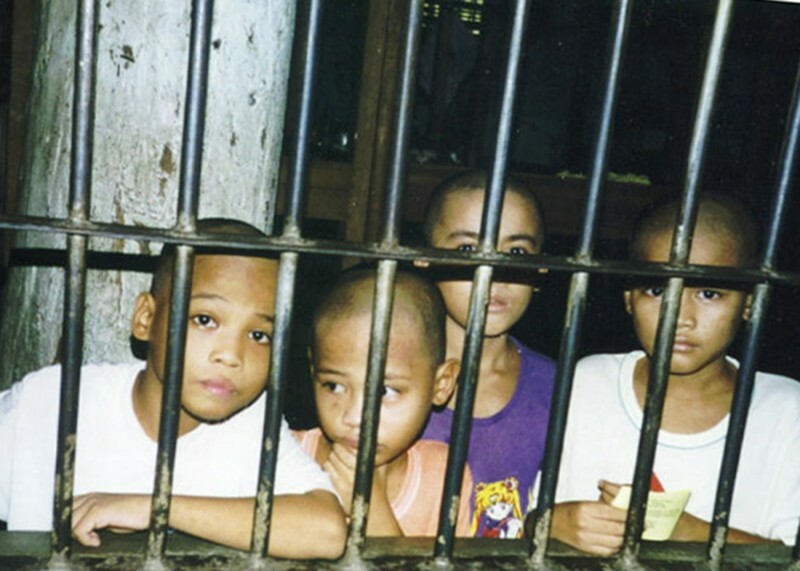 As they helped handing out packed lunch, they were so alarmed to notice and cried seeing minor inmates, one was only 7 years old, in the same cell with adult criminals, some waiting for their trial, others were awaiting their transfer to National Penitentiary in Muntinglupa, convicted for murder, homicide, thief, burglary, drug dealing, etc. Although strictly prohibited, I took a quick snap shot using a small point and shoot camera when the two Americans asked them to come closer. When they learned what they were arrested for breaking into stores to get some food, they lamented these kids don’t deserve to be treated as ordinary criminals. The jail guards they talked to said that there was nothing they could do because there was no place to send them. They were street children abandoned by parents and survived by breaking into homes or stores. The two Americans protested and said to me that they would not fly back to California until these kids are released or transferred to another place. We asked Marieta Palos, a DAUSA officer who then headed the jail feeding project to talk to the Mayor if it was possible to release the children and take them to the Department of Social Services in Cebu City. Two days later we made a follow up, the kids were not in city jail anymore and we were told they were sent to the town of Argao where the Department of Social Services had a facility for abandoned children.